Pupils return today for another school year. 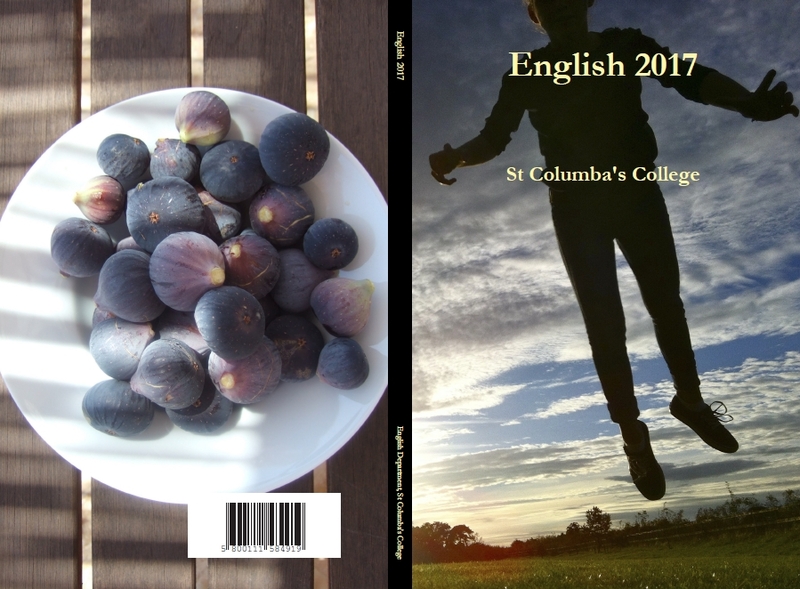 When we see our Fifth Form tomorrow, we will be handing out our second self-published Leaving Certificate textbook, English 2017 (front cover above - photography by Pippa Moritz. Click on it for a closer look). We've written before on the excellent self-publishing service Lulu.com, which has again done us proud, with 70 perfect copies arriving a few days after ordering. Last year's English 2016 incorporated a fine translation of Antigone by Ian Johnston, Research Associate at Vancouver Island University in Canada, and again Iain has generously given us permission to use his (again, excellent) translation of Oedipus the King. Both plays by Sophocles are used for the comparative module of our course (this time, with Donal Ryan's The Spinning Heart alongside The Great Gatsby). Ian's site is here, dedicated to the memory of his son, Geoffrey. Publishing our own book also gives us the ability to distribute it electronically to teachers and pupils. We incorporate advice, reading lists, lists of podcasts and other resources.